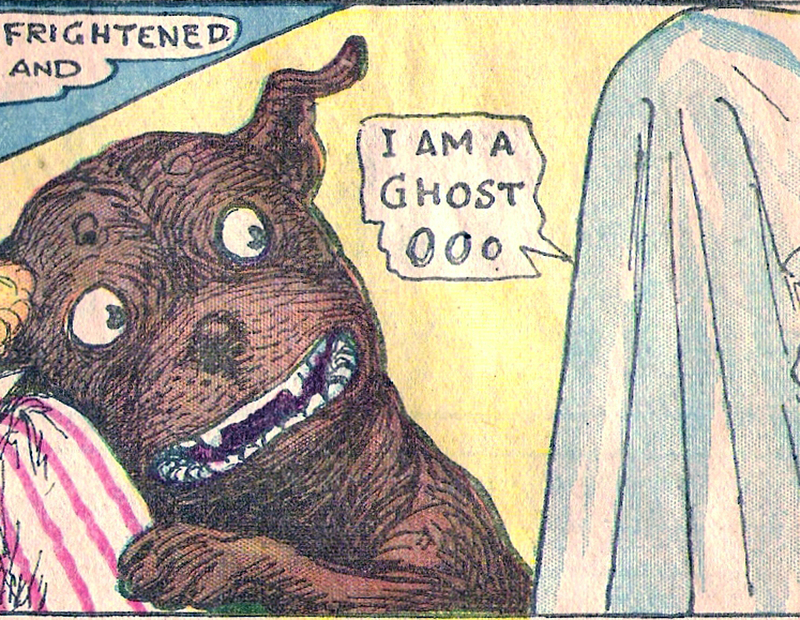 The dog Tige and a sheet ghost: a detail from a Buster Brown comic. 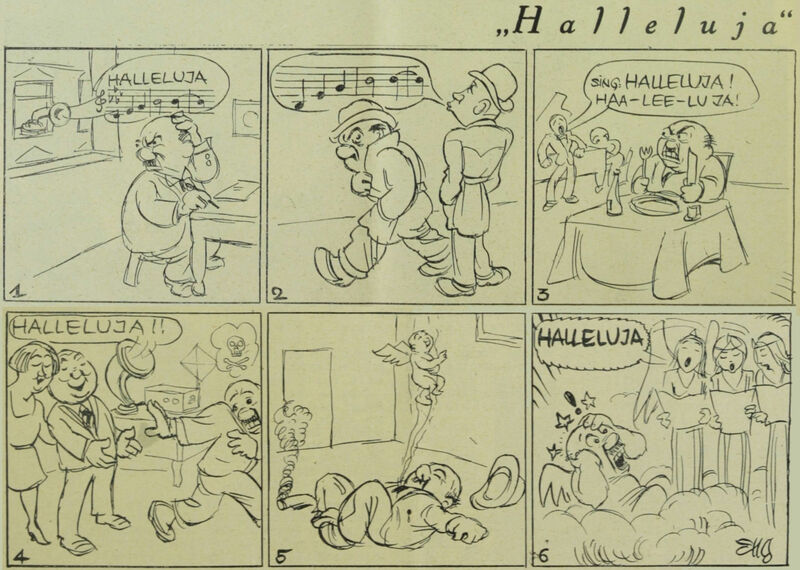 Here's a fun twist on the little birds and stars that orbit one's head after a blow. This particular blow went so deep, apparently, that the bird got internalized, and its tweet is vocalized by the injured party. Yet we all know that the little bird is figurative, and the bystander answers the chirping by stating that he hears no bird. 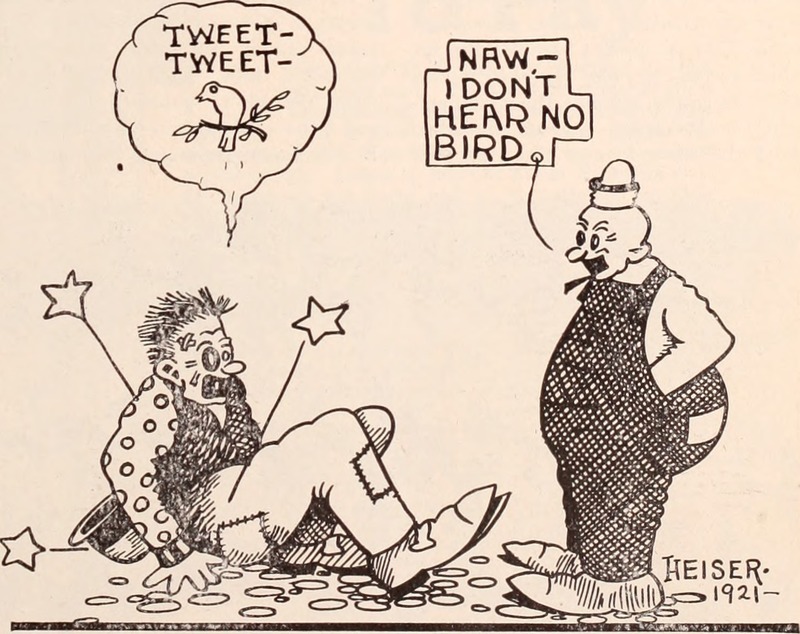 From the Baltimore and Ohio Employees Magazine, 1921.